After Antonio Conte gave some animated answers about the players Chelsea bring in, and that following a EFL Cupelimination and shift in the game that the champions just struggled to respond to, questions are only intensifying over whether he will actually leave. A widespread feeling has been that the Italian will go on amicable terms in the summer, partly because of a less amicable frustration that the club have not backed him in the way he felt they should after winning the title. As with the sudden discussion over what constitutes a successful season for Chelsea, though, it isn’t quite that clear-cut. Conte has been publicly adamant that he won’t quit, only to conspicuously drop the words “if I stay” on Tuesday, but sources close to him have backed this. They feel that the only way the Italian would willingly walk would be if a legitimately good offer came in from abroad. Paris Saint-Germain, Bayern Munich and – to a lesser extent – Real Madrid are all interested, but there is still plenty of intrigue to all of those situations. Chelsea have meanwhile naturally been keeping abreast of potential replacements, with Luis Enrique one name on their list. The Spaniard would be a curious choice if – as some sources claim – the Stamford Bridge hierarchy did want a more facilitative coach after two hugely forceful personalities in Jose Mourinho and Conte, because he is renowned as being spiky and fiery. Conte’s own spikiness has almost exclusively come up as regards transfers, and he is justified in believing that Chelsea should have given him much more of a platform, after he defied all expectations to win the title with a squad many considered a basket-case situation. He wanted more experience, specific players, and to fill specific roles. Instead, Conte claimed after the Arsenal match he doesn’t “have a big impact on the transfer market”. For their part, given that Chelsea’s entire outlook is now to the long term so the club is never properly destabilised by the whims or results of any one managerial figure, they are perfectly justified in following their own club targets. Why subject the medium-term future of the club to any one manager, given their short-term future can be as uncertain as any player? Sources say that, in the same way as Real Madrid have done, Chelsea want to prioritise the purchase of players within the 20-25 age bracket. One high-profile agent who has worked on deals with them has even doubted whether they will ever properly spend big again, bar in the most special of circumstances. But that in itself highlights the fact that Conte has highly overachieved at the club – and is worth some compromise. Really, and even allowing for the lack of European football, Chelsea should not have got near a title last season. The squad was on the back of one of the worst collapses ever seen by a champion-winning side and was already in need of transition. From that, Conte didn’t get any of the first-choice targets he wanted, but still finished first in the table. The Italian argued on Tuesday that the relative struggles of this season “show” that last season was a “little miracle”, and while that might be a huge exaggeration and expectation-management, it is true that things are starting to even out. A stretched squad is just stuttering more, and won’t always be capable of striding at the same speed. It could be seen in the flatness of the second half against Arsenal in the EFL Cup, even if there are fair questions about Conte’s response. Then again, who could he have brought on? 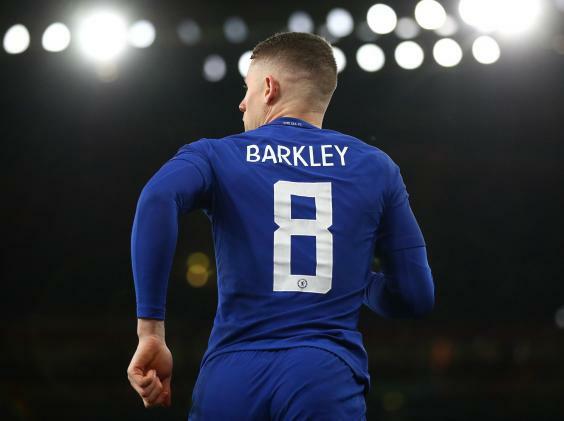 They still don’t have many forward options with injury to Alvaro Morata, and the injury to Willian, forcing Conte into giving Ross Barkley his first appearance in eight months – let alone his first for a new club. He is working well with what he has. And this is maybe something of a developing dilemma for Chelsea. When you can spend as much as anyone in the game, the fundamentals of management aren’t quite as important, because money can help balance it. When you don’t spend as much as those at the top, though, managing becomes all the more important because, well, you have to more effectively manage your resources. There’s just less scope for waste, less allowance for drop-offs. This, too, is the core issue. 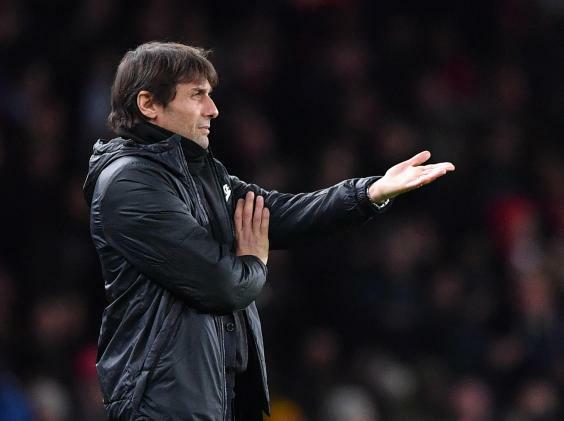 Even if the old force of Arsene Wenger has ironically proved surprising kryptonite for a sophisticated modern tactician like Conte, there are few in the game better than the Italian at looking at what he is given and coming up with something effective; at solving a tactical puzzle. That, and the spikiness about transfers that has created a few other problems, is precisely why he remains the best man for the job.